You arrange your private tour directly with me. We plan the tour together based on your interests, time and budget. Much of your tour can be planned in advance of arrival in Vietnam (email & telephone if necessary), but the biggest advantage is that we can make last minute arrangements or changes to your tour. A 50% deposit for my guide services will be sufficient to allow for planning for any number of days you wish to use my tour guide service while you travel in Vietnam. Most of tour needs such as hotels, transportation, meals, entrance fees, etc. will be your responsibility as the tour progresses. No advance fees are normally required except for transportation, such a car or van with driver; and deposit for my services. Most agencies require 24 hour notice for a refund. Some cancellations/changes such as vehicle rental require 24 hour notice before the tour is scheduled to begin. If we have to cancel your tour due to bad weather and cannot re-schedule on another day, 100% cash refund applies. No refund will be given in the event of cancellation on your part less than 24 hours before or during the tour. My tours do not include personal injury or health insurance. Each participant must have individual medical/health insurance and provide proof coverage prior to departure. 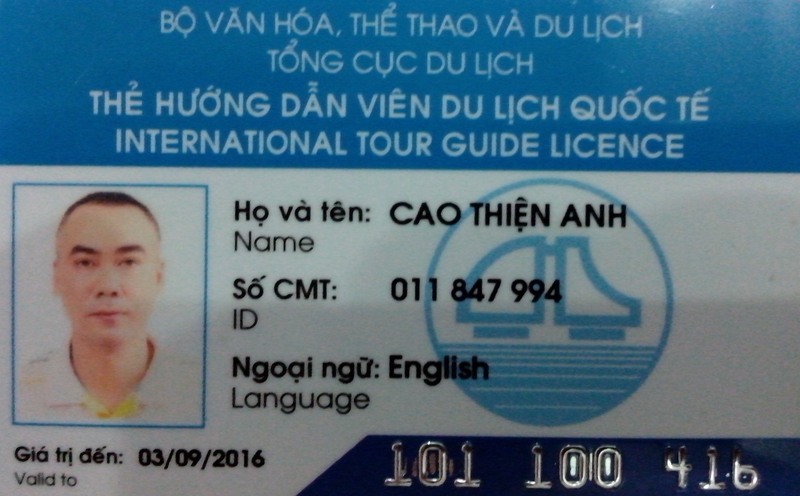 We ask each participant in our tours to sign a disclaimer stipulating that he/she has personal insurance and that Tour Guide Hanoi will not, in any circumstances, have to assume the responsibility or the expenses caused in the event of accident or disease.